For 2014 Tudor has four novelties; three new watches/lines and a book on the history of the brand. 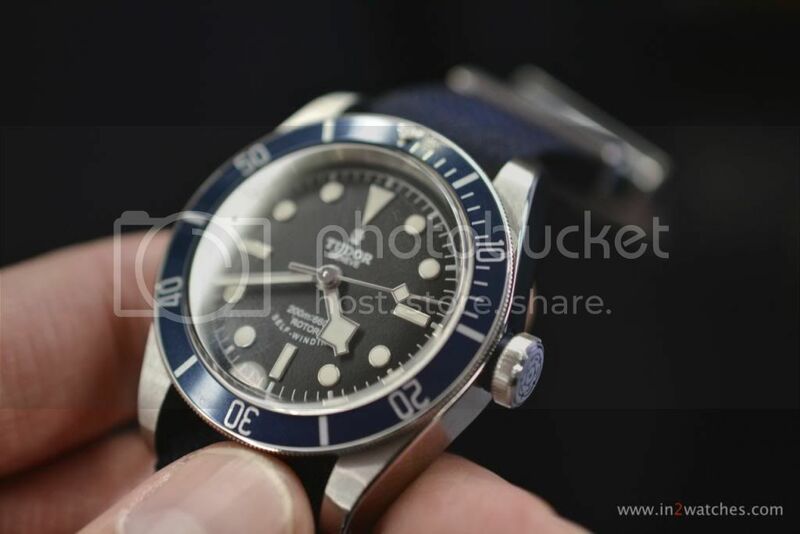 Of course the blue bezelled version of the Black Bay is nice and certainly a different appearance compared to the burgundy. However the model which struck me most was the Tudor Ranger. Being a fan of uncomplicated, uncluttered watches this is a model which exactly fits my taste. The diameter could have been slightly less in my opinion, however the watch as such – with for instance the domed dial and sapphire crystal – is close enough for me to like it mucho. It’s available with four different straps, all suiting the watch very well. It’s nice to see that Tudor, being very into their heritage, always brings original vintage watches with them on these kind of presentations as well. All can be touched and tried on.